19 killer interview questions that will help you crush your competition! Now is not the time to be tongue tied. Having been selected for this interview, you have already convinced the employer you are potentially the right candidate. So, it is really important at this final stage to continue reinforcing that positive dialogue you’ve been having with your potential new boss. While many people feel uncomfortable ask about salary, benefits/perks and holidays, demonstrating your interest in the interviewer as an individual and the company beyond the job specification is a good way to demonstrate your interest in the position, and display your commitment to being successful should you get the job. Throughout the interview, you should try observing your interviewer closely. After all, this is the time where you will be processing whether or not you feel you could fit in with their work methodologies, and where possible establish how the team/company structure can complement your beliefs and concepts. Naturally, you might feel a bit nervous, but don’t forget they are people too! A little bit of respect can work wonders. Listen clearly to what they tell you about the role. At the start of the interview, many interviewers will go through the job description with you. Use this time or at the end of the interview to discuss key areas and objectives. Have any concerns or queries? Voice them. Be sincere and interested, showing initiative is a great way to reaffirm that you will be committed to the job beyond the interview. 1. What are the main objectives and responsibilities of the position? Asking this might seem obvious once you’ve gone over the job specification, but hearing about the role in more detail is a deciding point for many candidates who are looking at a long-term opportunity. With a clearer outline of your expectations, you can decide whether anything is likely to deter your interest or encourage you to choose to accept the job. 2. What obstacles have been previously encountered within this role and how can I help you overcome them? There are two ways to look at this question. If this is a newly created role, it can be great to learn how the company had previously tackled any issues. For example, if you are going for a content management role, how did the company previously handle their content schedule? Were freelancers involved? If so, why the change? Alternatively, if someone has left the role and progressed, it can be great to see how this position has adapted and evolved so that you can continue the existing momentum. 3. How does the company work together to meet deadlines? 4. How is a typical week structured? Knowing how a team works to meet important goals together is a key learning point for any prospective member of staff. Using the information from your interviewer’s answer will provide a glimpse of how pressure is handled, what the consensus is for workload and that all-important work/life balance. If you do not feel satisfied with the answers, this can help you reach a decision following on from the interview. 5. What are the most important milestones that you would like to see someone accomplish in the first few months? Asking this question will help you understand in advance what is expected of you from your employer. It will also help you prepare for opportunities that are due to follow further down the line, and provide some much-needed insight into how you can potentially contribute to the company’s growth. Based on your answers you should also be able to gauge whether or not this is something that truly interests you and will provide you with the ammunition needed to succeed. Companies want to know their employees will go the extra mile for their team, and are looking for long-term progression rather than a quick hire. To do this, you may need to work outside the box to prove you aren’t just a robot spouting out well-rehearsed if dehumanised lines. 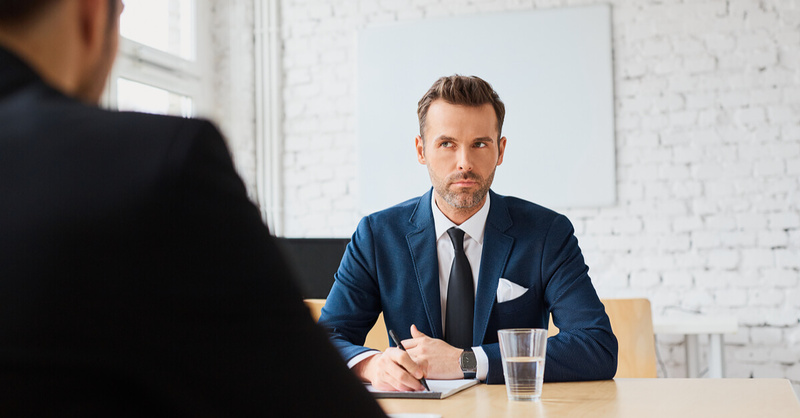 Many are beginning to change their approach to interview questions to ensure they get the best person for the role – be prepared by reading some of these in our guide to 10 Revealing Questions to Ask in Interview. 6. How did you join the company? 7. What do you like about working here? 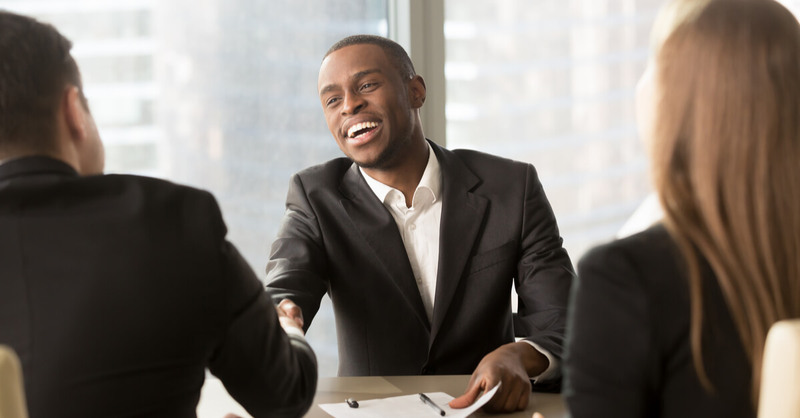 A great way to establish rapport, especially in competency-based interviews, is to create a connection between yourself and the employer. By encouraging someone to talk about themselves and their role, you will be able to establish whether they are as enthusiastic as you. Taking off the rose-tinted glasses and providing you full transparency can also provide valuable insight about the company’s culture and structure, allowing you to break the ice and find common ground through shared interests and experiences. Once this trust is built, you can actively begin to navigate around key issues within the role and assert yourself as both confident and assertive. One of the best ways to improve a hiring manager’s confidence is to demonstrate your courage. By using open questions, you can demonstrate your willingness and aspirations towards the company’s mission statements and goals. 8. Who do you consider are your company’s main competitors and how could I help you succeed? Before asking this be sure to do your homework. Research the company both from internal and external sources. From this, you may already have an idea of the company’s major competitors, but it can be useful to ask your interviewer for their thoughts. Naturally, this insight is invaluable, and by placing yourself amongst their team, a hiring manager may begin to recognise your value and skill set that sets you apart from other potential candidates. 9. What are the biggest challenges facing the company right now? 10. What are the biggest opportunities facing the department right now? These questions are a great way of demonstrating your problem-solving skills. If you know, they are using a programme which is not cost effective due to experiences you may have had in a previous position, demonstrate this through a solid portfolio or discussion about your work history. When a company explains itself fully, clarity or lack thereof can help sway your decision. After all, you and your potential hiring manager are both looking for that perfect fit. 11. What training is offered within the company? 12. How do you support people who want to gain extra skills? This question is a great way to reaffirm to your interviewer that you are looking at staying in the company for the long term. Showing willingness to be trained can also help them to see you as flexible and someone willing to pursue the necessary steps towards success both as an individual and as a colleague. 13. What resources will I have access to in the company? Asking what software or technology you will be provided within the job can be a useful way for you to reiterate your key skills. If they mention a programme for the role that you haven’t used, but you have relevant experience with something similar, this can be a talking point to reiterate your passion and drive. 14. How will my success be measured in this role? 15. What is the performance review process like here, how often would I be formally reviewed? Already demonstrating a willingness to be measured and assessed confirms you value your boss’s and department’s input and are wanting to succeed and progress in this role. 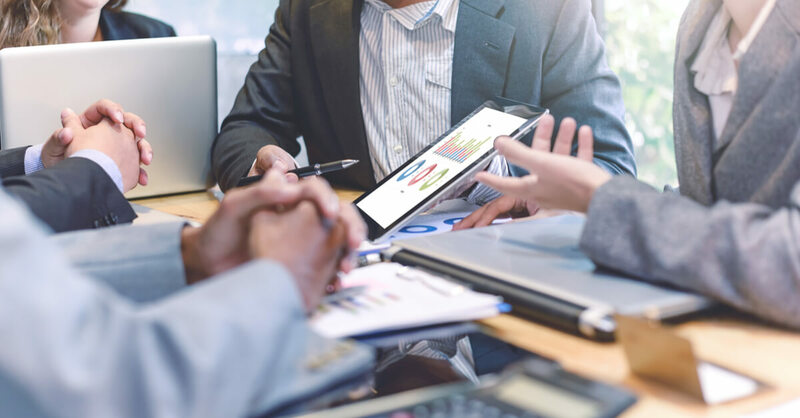 Alternatively asking about your performance metrics confirms you are a negotiator and adaptable to challenges and tasks that may occur along the way. It might seem obvious, but when hiring for a new employee, the company are ideally looking for a team player. Using these questions reflect your interest in developing and growing side by side. 16. What can you tell me about the company culture and management style? Asking this question will reinforce whether or not the ideals and dynamics of the company match your own. While many roles require independent tasks, asking this question will enforce that you are looking to fit into their existing group. It’s also a bonus if you can learn the names of your future colleagues or some of their interests to help you settle in once you’ve got the job. 18. Who will I report to? Similarly, this question should give you a clearer outline of the company hierarchy and whom you can turn to for support. 19. What are the next steps? Every employer is different, but most jobs usually have a hiring process. Asking this question reiterates your interest in the role and your willingness to proceed. You can also form a more appropriate timeframe of when they will be looking to contact you and provide feedback. Many hiring managers may appreciate a thank you for your time message via email but don’t harass them afterwards. Allow the appropriate time they have mentioned to pass before following up further and focus your time more wisely checking you have up to date references and a portfolio of work to be proud of should this be requested. By going to an interview, you are gaining a vital opportunity to understand more about the job you applied for. Expanding your knowledge about the company and the people you would be working alongside. When positive, it acts as a dialogue between yourself and your potential new boss. As much as they are looking to learn about you, you should be demonstrating that you also want to learn about them. 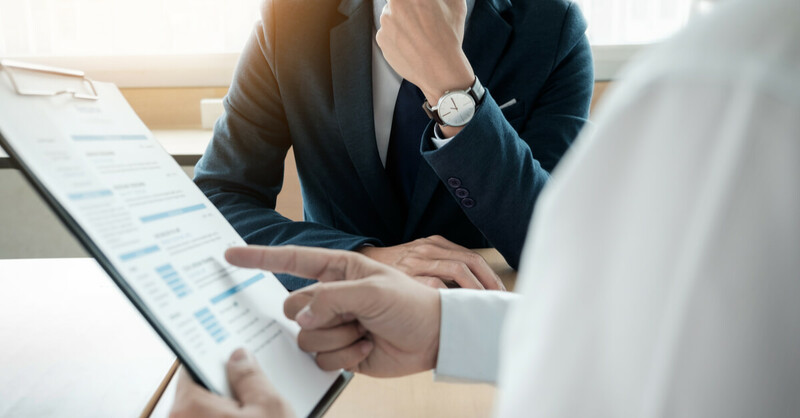 By asking some of these questions, your prospective employer will be providing you with invaluable insight about what is happening on the employer’s side of the situation and reassert you as someone looking to work for and with them. Avoid confrontational questions or asking too many as they can dissuade hiring managers from offering you a job. Approaching interviews with these questions in mind will help you decide whether to cross your current job off your list and move on to the next opportunity.